Becoming An Author: Start Your Book – And Finish It! If you are inching closer to finishing your story, or have made great progress, you already have a lot to be proud of. According to recent studies, around 80-90% of Americans feel like they have a book they could write, but very few move past the stage of vague ambition. In fact, some surveys and studies estimate that up to 97% of people who try to write a book never finish, simply because other factors get in the way of progress. So what separates people who are able to successfully write and complete a book from those who don’t? Though the reasons can vary widely, it typically starts with these common threads that set the “dos” and the “do nots” apart. It’s easy to get sidetracked from your book as life gets in the way. But successful authors have a writing routine that they adhere to on a regular basis. Even setting aside 15-20 minutes a day for working on your book can make a big difference when it comes to staying on track until the end. All writers face similar issues throughout the writing process, such as writer’s block, determining plot development, and even missing basic spelling and grammar mistakes. But successful writers have experts they can turn to for guidance. Their network gives feedback on ideas, identifies next steps when it comes to publishing, and continually finds inspiration. If you don’t have these people in your life, consider attending an event like the upcoming Book Bound Workshop. These in-depth sessions will cover everything you need to know about how to successfully launch your book. Best of all, just attending will introduce you to a network of writers just like you. Perhaps you just can’t find the time to write, or maybe you’ve reached a point in your story where you’re not sure how to move forward. Or, maybe you’re questioning your ability to write in the first place! These are all typical hurdles that all authors face. And successful writers are able to find a way through to the other side. Don’t get discouraged, and find a path forward no matter what obstacles come your way. The ability to handle difficulties is often what separates those who do succeed from those who don’t. Once your book is finished, what’s your next step? Successful writers have an end goal in mind. And more importantly, they have a plan in place to take their completed work to the next level. An efficient and clear route to success is to enlist the services of a partner publisher. Working with one is easier and more results-oriented than self-publishing, (and more accessible than finding a literary agent). Plus, a partner publisher tackles all of the details required to turn your book from a simple manuscript into a physical piece of literature. You’ll have your story on the shelves, or available in the online marketplace in no time! So set yourself apart from the crowd, have a plan in mind from start to finish, and focus on your goal. Your book will be in great hands with your publisher once you’re done writing. And knowing this will get you excited to move forward and finish your story. Meeting future authors just like you is just as important as finding a partner publisher. To make a network and get your story on to paper, join my Book Bound Workshop in June in Plano, TX. I look forward to seeing you there! 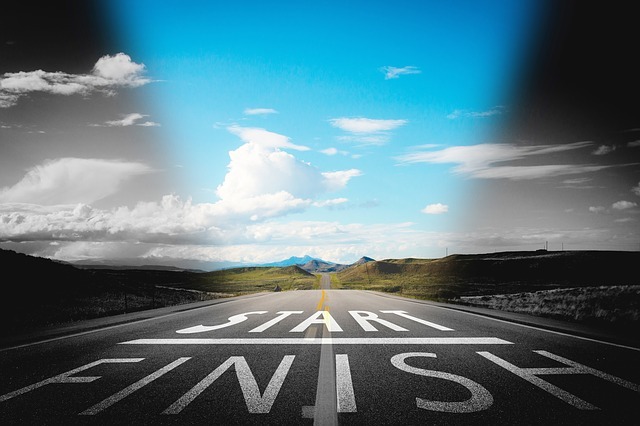 Becoming An Author: Start Your Book - And Finish It! Millions of Americans want to write a book, but few make it all the way to publish. See what separates those who do finish their story from those who don’t.